If you read my blog often, you likely know that I believe there is no better place to start your marketing than with a well-thought out and constructed strategy – no matter what type, or size, of business you own. I came across this article, written by Twist Image President Mitch Joel, discussing energy drink company Red Bull’s mission to bring their brand beyond the beverage to truly let consumers in. What is great about this article is that it addresses the fact that not all brands are as big as Red Bull or carry as much of a cool factor, but the framework behind their branding initiative is applicable to everyone. 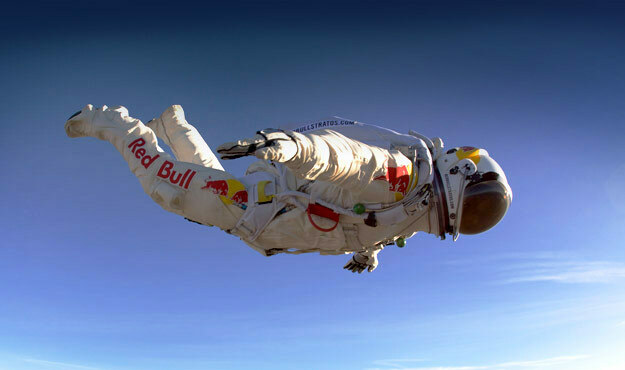 The first step in Red Bull’s branding initiative? A plan. Red Bull built a branding concept that was meticulously planned to the very last detail. Each decision was made with a purpose. Red Bull was able to watch each decision unfold in accordance with their goals. The importance of developing a strategy is invaluable. In order to achieve success, you need to know the how, what, where, when, and whom of your business. Though it takes time, understanding every choice, desired effect, and possible outcome will help your business build a brand that can hold it’s own among clients and consumers. A strategy ensures marketing consistency and provides a base point for a company’s staff. As the article states, ”Red Bull provides an amazing case study because the brand moved beyond traditional advertising, beyond content advertising and beyond social media marketing into a realm where consumers could simply touch the brand (or, at the very least, hear about the brand) on their own terms.” Read more beyond just the strategy that Red Bull created, including leveraging the brand as a media channel, advertising, portfolio diversification, and becoming a renegade. There is much to be taken away from Red Bull’s strategy development and implementation. Has this opened your eyes to a different side of strategic marketing? Let me know your thoughts after reading about Red Bull’s branding initiative. Social media has proven to be more than just a fad – it is a part of almost everyone’s day-to-day lives and more importantly, influences the world of business in ways we may have never expected! The statistics speak for themselves. With 85% of Internet users on Facebook, it is no surprise that the medium is one of the best ways to reach your audience. The social network seems to be powerful beyond measure, with 81% of Facebookers being influenced by their friend’s posts on social media. This infographic from Go-Gulf.com shows just how influential social media can be to your business, and why it’s important that your business has a strong social media presence. We know that social media does wonders for business exposure and increasing site traffic, which is why we want our clients to understand social media and all its benefits. We offer Social Media 101 workshops to help clients better understand the online medium and decide which social media platform best suits their needs. Does your SMB use any social media platforms? If you do, how many do you use? If you don’t use any, why not? I look forward to discussing with you in the comments. How Do I Know If My Marketing Is Working? Gone are the old days of marketing when you implemented a kicking campaign and all you could gleam from it was that it was seen by “X” amount of people or that you had “X” amount of households who received the flyer, the direct mail piece, or the printed publication. Today, marketing tactics bring with them a whole new world of high tech tools and analytics giving you the ability to track your return on investment (ROI) on almost every tactic you employ. Specifically, online marketing tactics have been created with built-in metrics that help you, the business owner, better understand and track the results of your marketing activities. Despite the fact that all of this information is at our marketing fingertips, many business owners simply do not know what is available, how to access it and, more importantly, have the time to learn all of the analytical software and analyze the results. Unfortunately, there is no universal software that tracks all of your online marketing activities. You, your staff or your agency needs to track campaigns across various mediums using several software solutions and to do this, it requires time and a thorough understanding of what you are looking for and what that tool can do for you. There are several marketing tactics including phone marketing, QR codes, and webkeys, but I have outlined below what have become the most popular and easily measurable tools of the online marketing field today. Website tracking: Google Analytics is by far the most powerful tool for measuring website traffic. In addition to tracking referral sites, viewed pages, and basic site stats, you can also see mobile usage and page flow, track landing page and Google Ad campaigns. Google Ads: These can be tracked directly from the dashboard of Google AdWords’s website. They will tell you what words are being indexed, how many impressions, which ads appear on the first page and how much it will cost for you to bid that keyword appear on the first page. Social Media: Finally, you can actually track your social media site stats. Though nowhere as comprehensive as Google Analytics, the main sites (Facebook, LinkedIn and Twitter) will give you a good idea as to how often people visit your site, basic demographics, how often your posts are “liked” and what reach you are obtaining with your posts. The information, though not rich, allows you to see trends that may lead to changing up your style or approach or any future campaigns. Word Press: Using Word Press for your site or blog is a great way to track analytics. Much like the social media sites, Word Press can give you basic info on what posts people are reading on which day and the number of followers you are picking up. This information will help you to again, look at trends and change or modify your campaigns. E-blasts: No matter what external service or software you use for eblasts, they all have extensive analytics which help you determine how many of your emails were opened, rejected, clicked on and therefore how many resulted in a lead or conversion. Bottom line, your marketing agency or department/person needs to be accountable to you for your marketing budget. It is your business and you need to be in control of or aware of how your marketing dollars are being spent and what your return is for your marketing investments. 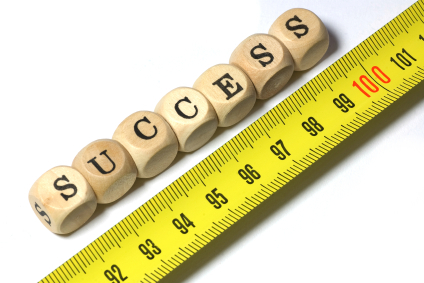 Are you tracking your marketing efforts? Do you have the tools in place and the people who understand how to track and analyze your results? If not, why not? I look forward to hearing from you in the comments below. What Does Your Company Logo Say About Your Brand (Infographic)? In recent weeks, I have been posting and polling my readers on branding and how a logo is different than a brand. A logo, in fact, is derived from your brand and is something that becomes synonymous with its identity. Last week I shared with you results of our poll on the removal of the Starbucks name from their logo and most agreed that it would not have any impact on the Starbucks brand, because it has an iconic image that you remember. As a small business, it is even more important to take the time to develop a marketing strategy that clearly defines who you are so that when your start implementing the strategy through such tactics as logo design, you are clear about what you want your company to say about your brand. Here is a great infographic by 123print on things to consider when designing your logo. As an owner of a SMB, does your company logo reflect your brand? Did this infographic help you to better understand how much time and effort go into developing a logo? I look forward to hearing from you in the comments below. 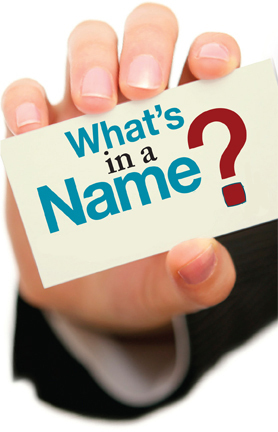 Poll Results – What’s In A Name? Last week, we asked our readers to weigh in on our poll about whether or not it was a good decision for Starbucks to remove their name from their logo. 78% said that they think taking off their name won’t have any effect on their sales, while 22% said that they thought taking their name off was a bad idea. The majority agreed that Starbucks wouldn’t see any major consequences from removing “Starbucks Coffee” from their logo. Amazing really, that they were so bold as to remove their company name from their logo and yet people don’t feel it will have any impact on their brand. Marketing 101 would dictate that every brand needs to have a name, but when you are a large multinational like Starbucks, Nike or Apple, they can cleverly remove their name and rely on their brand reputation to give them recognition. The take away for SMB owners is that once a brand resonates with your audience, explains what you do, and what value you bring, then it is the brand values that they remember, the visual of the logo becomes secondary. In this case, Starbucks continues to make custom coffee regardless of having their name on their logo; people see their logo and know that’s the place to go for custom coffee. Have you thought about what brand values your brand communicates with your customers? I look forward to hearing from you in the comments.